Greetings, my name is Allyson. I am a full-time mom, wife, friend, but most of all, a daughter of God. Conduits of Love is my brainchild, along with my better half, my husband Dave. Together, we will be sharing our thoughts, insights and feelings throughout. Conduits of Love is a resource for both birth parents and adoptive parents. Dave and I are ordained by Jeff Jansen and Global Fire Ministries International. Prior to the shift of my focus in life, I was a mental health clinician and educator. To this day, I still offer counsel to those in need of healing, support and/or encouragement. I love people. Wherever I go, 24/7, I engage in loving the socks off people. I strongly believe that love is everything and it is the answer to whatever we encounter in our lives. Dave and I have said, “Yes,” to the Great Commission and Jesus’s command to take care of the orphans and widows in their time of need (James 1:27). To be transparent, adoption lights us up. It is who we are. 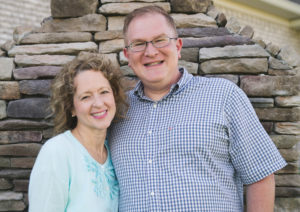 Dave and I have a passion to assist adoptive parents to connect with their children. 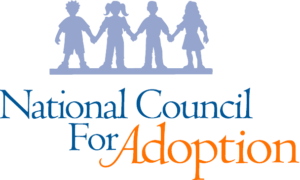 I have guided couples to adoption agencies or shared with them options they never considered so they could finally find their children. Our philosophy is that adoption is a privilege and honor. Dave and I believe God searches the entire world for our children. What a powerful moment it is when we, forever families, finally receive our children. No matter how long we wait, it is always the perfect timing. Our hearts’ desires were always to have more than one child in our family. We are so blessed and thankful to say that God gave us one biological son. He currently is 16 years old. He strongly desired siblings for as long as he could speak. Every night, for over twelve years, it was joyful and at times painful to witness our son praying in his siblings. As we prayed and waited to see God move throughout our journey, it was sometimes joyful and sometimes challenging. Every step, God took our breath away as we realized that He had our baby in the palm of His hands. It all came down to the perfect timing and realizing that He selected a wonderful woman to carry our baby for us. We will explain in the Conduits of Love adoption testimonies section our adoption story, but for now, we will share the ovation of our journey. In June 2015, Dave and I experienced the privilege and honor to adopt our precious miracle daughter. We received a suddenly telephone call from our adoption agency and immediately flew to California to pick up our baby. Dave and I look forward to sharing with you our daughter’s adoption story and hope you receive encouragement. Currently, as you read this, we are in expectation and anticipation mode of adopting our next child. Dave and I will keep you updated as we walk along with you. We believe every life has a purpose, calling and destiny. It is our desire that Conduits of Love will bless you.